It's been 3 weeks since I last posted any news so you've got 2 large pages filled with news to catch up on today. I was offline for awhile due to the loss of my dearest friend, Sharon "Shay" Gosnell. Many of you knew and loved Shay and some of you may remember Shay and her husband Skip as owners of Tabletop Productions. Shay was also a huge advocate of the Child Alert Foundation and threw a huge benefit raising around $4,000 and making sure that the police in her area of N.C. were supplied with CAF's Abduction Central Alert © program. What I will always remember about Shay is that she was a sister to me from the time we first met. She had such a warm and giving nature... always putting others before herself. What a lot of you may not have known was that Shay suffered horribly from Lupus for years and on June 1st, the good Lord took her home to be at peace. It's those of us left behind that now suffer her loss. Needless to say, I was unable to come near this PC for about 2 weeks. All I could do was bury myself in physical labor until I couldn't move from the pain... praying not to think. The pain came, but the thinking never stopped... it still doesn't. I'll be missing Shay until we're together once again. I'm planning a memorial page for Shay but haven't been able to get anything going as yet. I want it to "fit" her as well as possible and with my limited capabilities that's gonna be hard to do... but it will be done. I want everyone to know just how special she was and how much of a difference she made not only in the hearts of her friends and family, but to the world. Her time here on earth was short, but her goodness and achievements will live on forever. On the same day I learned about Shay, I was also informed that CAF lost another friend and great supporter, James "Bill" Bailey. James was a non-stop enthusiast of CAF, another person with a huge heart and worked hard to make a difference in this world. He became more than just a supporter of CAF, he became my friend, online and offline. I met him in person for the first time at the first benefit he held at the Broken Spoke in Nashville. I will also be posting a memorial to James as soon as possible. The following was part of a message from a friend of James.. and no, he's not the singing icon, James Taylor..
"My name is James Taylor, I am Bill Bailey's partner. Mr. Bailey passed away Wed. April 27th, 2005 of a heart attack. I am still holding the CAF Benefit in Jackson, Tn. in Bill's memory on June 25th." I'll report more on the benefit when I have more information. Some people come into our lives and quickly go.... Some stay for a while and leave footprints on our hearts.... And we are never, ever the same. 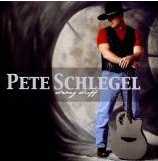 Watch for my new Album (CD) August 2005 Joe will Be touring to Lewisburg, Missouri this July. He also will be returning in July to Olathe,Kansas for a homecoming event at which time he will be appearing with Elija Chastine and band. Elija is an old stage buddy and #1 Great Fiddle Player. We are now making plans and want you to put these events dates on your calendar. Tell your friends and let us know if you need transportation. Come along with the fans. Rick (fans tour coordinator) will get a bus if need be. Just write (e-mail) and tell us if you will need transportation to any one of these events. Get Joe & Tamra's Gospel CD or Joe's Angel Video at the low cost of only $5.00 when ordering from this contact. Just e-mail us and give us the code word .. Constant Contact and we will have your CD or Video in the mail within two weeks. I had the privilege of playing your song "Veteran's Day" today as part of a program I do on KJNP(King Jesus North Pole) radio in North Pole, Alaska. On holidays such as this I play mostly patriotic tunes and I know your song was truly a blessing to those of us that had the privilege to hear it. As a twenty year Air Force veteran and veteran of Operation Joint Endeavour (Bosnia) and Iraqi Freedom I want to thank you for putting into words my feelings as well as the feelings and opinions and thoughts of all the Vets that have ever served this great nation of ours. EVERY DAY IS "VETERANS DAY"
Find Books, Music, Videos, Software, Electronics, Website Hosts/Servers .... Don't pay the high prices you find in the stores. I've researched the links posted to give everyone an opportunity to buy great things at the best prices. Artists, be sure to check out the "Info" section as it's been updated with even more info.. web links, sheet music, instruments and more. Joe Nichols and several other Country music artists come together for a night of magic in a live concert taping of CMT 100 Greatest Duets. The musical extravaganza will take place at Nashville's Gaylord Entertainment Center on Wednesday, June 8 at 7:30 PM, CT, the eve of the CMA Music Festival. Trace fan's can get special discount tickets by using the discount code "CMTFAN" when you order online here. You can also purchase tickets at all Ticketmaster outlets or by phone at 615-255-9600. What's A Guy Gotta Do To Get This Great Collectible? Join Joe Nichols and Leadership Music for its 2nd Annual online auction held exclusively on CMTauctions.com. Leadership Music is an organization of music industry professionals. With their close access to your favorite artists, members have cleaned out closets and asked for favors, to assemble the one-of-a-kind items you can't get anywhere else! Joe's single "What's A Guy Gotta Do" is heading straight for Number 1! You can help! Make sure you request "What's A Guy Gotta Do" on your favorite radio and video station! Remember you can earn special points and prizes for requesting through I-squad! Not a member? Join Today! It's fun and free! Here are the official sites for Joe Nichols! These links will open in a new window. Hear 5000 Online Stations on Live365: Listen to thousands of stations programmed by people like you! Luck Media & Marketing, Inc. The Bellamy Brothers have achieved another first; they dominate the Top 3 on this week's Hotdisc Chart. The chart is compiled by the top DJs who vote for their favorite cuts from the current Hotdisc releases which are being promoted in Europe. The DJs themselves get together to voice their approval of the new songs by rating each new record out of 10, and the Bellamy Brothers' duet with Alan Jackson, " You Ain't Just Whistlin' Dixie" has received a huge 8.86% rating across the board from this week's DJ reports , the second highest score since the Hotdisc chart began. The Bellamys' new entry at #1 with Alan Jackson is not the complete story for them this week. That song knocked their own "Let Your Love Flow" (recorded with Lisa Brokop and Hal Ketchum) off the top spot as it slips to #3, and their other plug track from their current CD "Angels & Outlaws Vol. 1", namely "Old Hippie" (another collaboration - this time with Montgomery Gentry), slides in at #2 this week. The Bellamy Brothers are right up there with the Brooks and Dunn and The Judds as one of the most successful international duos in country music history. Over the years, the duo has toured extensively and developed a huge fan base in over 35 countries in Europe & Asia. The Bellamys have also entertained the troops at numerous overseas military bases. They recently performed concerts at bases in South Korea. The Bellamys leave on June 30th for a tour of Switzerland, Italy, Norway and England. The Bellamy Brothers new album, "Angels And Outlaws Vol. 1" includes collaborations with country music's finest performing the Bellamy's all time hits including "Let Your Love Flow", "You Ain't Just Whistlin' Dixie", "If I Said You Had A Beautiful Body (Would You Hold It Against Me)" and more! Order the Bellamy Brother's New CD, "Angels & Outlaws" Today and save 21%! (Nashville, TN)  The 2005 Nashville Screenwriters Conference Music In the Movies Luncheon was held at the Country Music Hall of Fame® and Museums Ford Theater, Saturday, June 4 in Nashville, TN. Hosted by music supervisor Anastasia Brown, the panel spoke to a room full of music publishers, songwriters, artists, and other entertainment industry professionals about placing music in to film and television. Scenes still needing music from the upcoming Quentin Tarantino-produced feature Daltry Calhoun were viewed and attendees were invited to submit songs for those scenes. 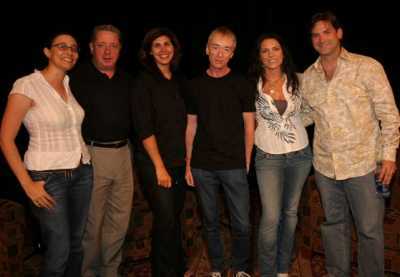 Musicians on-hand for the Music In the Movies Luncheon - (L to R): Christian Kane, Jim Lauderdale, Holly Williams, Host - Anastasia Brown, Lane Turner, and Tony Brown at the 2005 Nashville Screenwriters Conference Music In the Movies Luncheon at the Country Music Hall of Fame® and Museums Ford Theater  Saturday, June 4, 2005. Music In the Movies Luncheon Panelists  (L to R): Alex Patsavas (Music Supervisor: Greys Anatomy, The OC, Tru Calling, Skin), Anastasia Brown (Music Supervisor: Daltry Calhoun, Taken), Howard Paar (Music Supervisor: Herbie: Fully Loaded, Daltry Calhoun, Monster, D.E.B.S., Party Monster, Alias), Michael Wright (Senior Vice President of Original Programming for TNT), and Katrina Holden Bronson (Director/Screenwriter/Actor: Daltry Calhoun) at the 2005 Nashville Screenwriters Conference Music In the Movies Luncheon at the Country Music Hall of Fame® and Museums Ford Theater  Saturday, June 4, 2005. Music In the Movies Luncheon  (L to R): Katrina Holden Bronson (Director/Screenwriter/Actor: Daltry Calhoun), David Bennett (Executive Director of the Tennessee Film Entertainment & Music Commission), Alex Patsavas (Music Supervisor: Greys Anatomy, The OC, Tru Calling, Skin), Howard Paar (Music Supervisor: Herbie: Fully Loaded, Daltry Calhoun, Monster, D.E.B.S., Party Monster, Alias), Anastasia Brown (Music Supervisor: Daltry Calhoun, Taken), and Michael Wright (Senior Vice President of Original Programming for TNT) at the 2005 Nashville Screenwriters Conference Music In the Movies Luncheon at the Country Music Hall of Fame® and Museums Ford Theater  Saturday, June 4, 2005. 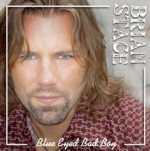 A veteran music industry team has come together on behalf of upncoming country music singer-songwriter Brian Stace. Stace has been in a Nashville recording studio of 2 Monkeys Productions working on his new album. I Dont Want To Wish I Had, the debut single, written by Bob DiPiero, James Otto and Scott Parker and produced by 2 Monkeys Productions, will be serviced to radio on June 13th. Nashville-based Philip K. Lyon will handle legal affairs. Lyons clients include Kenny Rogers, George Jones, David Allan Coe and the Country Music Association. Bernard Porter, President and CEO of the Porter Consulting Group, is onboard as management consultant. Luck Media & Marketing will handle public relations. 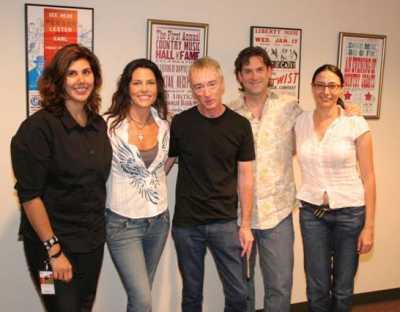 The firm has represented numerous musical artists such as Kenny Chesney, Sara Evans, Billy Ray Cyrus, Joe Diffie, Lila McCann, The Bellamy Brothers and Billy Dean. Tony Smith of 2 Monkeys Productions, who has worked with such superstars as Dolly Parton, Lee Greenwood and Michael Peterson, will collaborate with Brian on his forthcoming CD. Robert Williams of WBA Entertainment has come on-board as a marketing consultant. Eric Straton of Galaxy Entertainment will work with Stace on music video & commercial production. Staces self released first release Country Music Aint Noise Pollution garnered positive response and online sales via CD Baby.com, etc. Rustie Blue has made it to the Top 20 with "The Devil May Care," the second single off of her Chip Chip album. It is currently at #12 on the Indie World Country Chart. This upbeat, traditional country song is a sassy tune about a relationship gone bad. "The Devil May Care" can be found on CDX #365 track 15, Mark Trail Music compilation #10 track 9, and on the April CHi Hotdisc. Rustie will be at various events during the 2005 CMA Music Fest (formerly Fan Fair) in Nashville, TN. She will be doing interviews, TV tapings, video shoots, and will also be signing in the Camping World booth on Friday, June 10, at 2:30pm. Fans can also hear Rustie perform during the Mark Trail Showcase at Douglas Corner on Thursday, June 9, at 5:30pm. Rustie Blue is nominated for the 2005 Music Box Country Rising Artist and Outgoing Artist Awards! Winners will be announced in November or December in a theatre in Paris, France. Winners will be chosen by votes from fans (80%) and the industry (20%). Fans can vote at www.musicboxtv.com under Le Top Twenty, and clicking on the picture of the trophy. Rustie has been featured in many publications including Country Weekly, Music Row magazine, Roots Music Report, Country Music Round-Up, and Country Roads Magazine. Rustie was also featured on the cover of both "H.E.E.T." magazine January 2002 and Blazing Boots in February 2005! She has made numerous TV appearances, such as Fox 28 WTTE, Nashville Video Showcase, and a well known "Bingo Show" broadcast on TV Denmark 2, across the entire country and Greenland. MP3s of the Devil May Care, Chip Chip albums, interviews, & photos available by request. Radio is also encouraged to contact Kacey Jones, of Airplay Specialists, who is promoting "The Devil May Care." Shane Warner is #5 on the IsOn Live Country Chart with "I Could Get Used to This"! IsOn Live is based in Australia, with stations in Sydney, London, New York, and online. Absolutely was released in New Zealand in November of 2004 and was released in the United States at Fan Fair on June 9, 2005. This 16-track CD demonstrates Shanes incredible versatility and showcases the wide range of musical styles that is todays country music. He has released his second single off of this CD. 3 Beers to Mexico has a TexMex flavor, and is about a guy thinking back to the good times that he had in Mexico. Radio can also find it on MTM #11, shipping to radio this month. Shanes debut album, Seven, had seven tracks; the two released as singles helped him earn the 75 other awards under his belt. His first hit single, Learned to Love Again, received major airplay throughout Europe, covering 850 radio stations, as well as significant airplay in both New Zealand and Australia. Shanes second hit single, Baby Lets Drive, was also used in a truck driving commercial in the United States. Shane Warner has signed with a new label called Australian Records, whose philosophy is to sign Australian and New Zealand artists that have the potential to do well in the United States country music market. 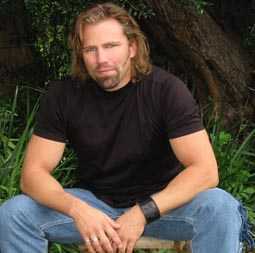 And he has: Shane made a clean sweep of his nominations at the 2005 North American Country Music Association International Awards, where he won International Male Vocalist of the Year, International Entertainer of the Year (Male), International Songwriter of the Year, Co-Songwriter of the Year, International Duet of the Year, and Most Promising International Album of the Year for Absolutely. Shane has since made the move to Nashville, TN. For more information, an MP3 of 3 Beers to Mexico, a copy of Absolutely, photos, or to schedule a phoner, contact Laura Claffey with Wildfire Publicity at wildfirepublicity@comcast.net or 615-825-0019. 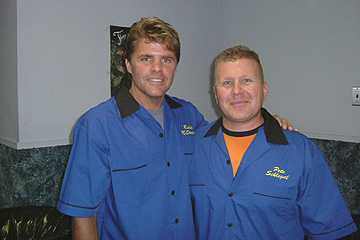 PHOTO: Pete Schlegel and Richie McDonald from Lonestar take a break from bowling with fans at the Lonestar & Friends "Strike Out for the Kids Bowling Bash," a fundraiser during Fan fair for St Jude in Nashville, TN. For more information, please contact Laura Claffey at wildfirepublicity@comcast.net or 615-825-0019. High-res photo, Strong Stuff CD, A Girl Like You MP3, and interviews available by request. On Tuesday night, June 7th, 2005, at approximately 8 oclock, Tresa Street walked out on the stage of the Ryman Auditorium and sang her self penned song Aint Nothin Changed, to a huge crowd of early CMA Music Festival arrivals. The event was the International Fan Club Organizations 38th Annual Show. The three ladies fondly known as the Johnson Sisters have been kicking off Fan Fair (now known as the CMA Music Festival) for 38 years with their organizations world famous IFCO Fun Fest Show! And what a show it was. While it is not the official opening of Fan Fair, it is the first event of the week, and Tresa was the very first artist to perform on the show. As the doors opened Thursday morning at the Nashville Convention Center, a huge crowd of fans burst in to see their favorite artist. Tresa was on hand with her Street Team girls to greet them at her newly designed booth with a free Special Edition sampler CD, new pictures, and lots of new T-shirts and hats. This also marked the official re-release on CD of her 1996 Baby Its You album. Her label, A.M.I., rushed the release date to make sure Tresa would have CDs available at her booth. With the exception of occasionally leaving to do interviews or to perform, Tresa was at her booth throughout the four day event. There was always a line of eager fans waiting to snap a picture with her and get an autograph. Tresa loves her fans and was quite honored that so many came to see her. She often stayed after closing time to visit with the last fan of the day. On Friday night, the IFCO ladies held a Shindig Show at the Ernest Tubb Theater near Opryland Hotel. This, too, was a great show, and several of Tresas fans were there to see her perform. The show was hosted by country artist john Arthur martinez, and featured others such as David Ball, Kelly Lang, and Billy Yates. The winners of the IFCO Center Stage Star Search, Austin Cody, Leah Durelle, and Taylor Ware, all gave crowd pleasing performances, as well. After the show, fans were invited to hang out and visit with all the stars at the Ernest Tubb Record Shop, adjacent to the theater. Tresa had a super time talking with everyone there. On Sunday, June 12th, the last day of Fan Fair (CMA Music Festival), Tresa did a 6 song set at the CMA Acoustic Corner Stage in the Nashville Convention Center. It was a packed house and everyone enjoyed the show. Tresa was accompanied by acoustic guitar players, Tom Wild and Mike Baker, and backup vocalists, Vickie Carrico and Michael Black. Her performance included the new radio single Rockin A Baby and a new Christian Country song she wrote with co-writer Don Harp and recorded entitled If I Died For You. It was also featured on Tresas free sampler CD, handed out to hundreds of fans during the week long event. It will be included in her new full length Christian Country CD scheduled for release later this year. There was a long line of fans waiting to meet her after the Acoustic Corner Show, and, as always, Tresa was happy to stay and sign autographs. For more information on Tresa Street, please contact Laura at wildfirepublicity@comcast.net or 615-825-0019. Photos, Ain't Nothin' Changed cd, Rockin' a Baby MP3, and interviews available to radio and the media by request. New Software! - The Logo Creator! Get it now from http://www.thelogocreator.com! Nashville, TN - Traveling on the road can produce strange bed fellows. Bluegrass Queen, Rhonda Vincent has found herself sleeping in Cher's bed... at least what was her bed. 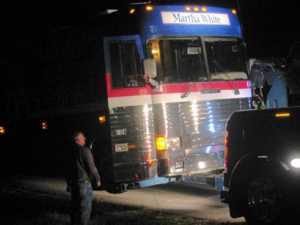 It seems Vincent and her band, The Rage, were traveling home from their Memorial Day festival schedule when trouble visited their famous bus, known as the Martha White Bluegrass Express. Around midnight a horrific sound sent everyone running to the front of the bus in terror. At that same moment, the bus completely lost power, as Vincent's bus diver carefully steered to the shoulder. Everyone jumped out expecting to find a flat tire. Instead, the frightened crew found smoke and oil pouring from the back engine. A piston had shot through, completely destroying the engine. It couldn't have been worse timing for this to occur on a holiday weekend. Yet it was a good location for this to happen, as they were only 100 yards from an exit, where help was located to get all home safely. Ironically, Vincent was scheduled to receive a brand new bus in just a few months. She had already chosen the materials for the interior a few weeks ago. But, being "bus less" for three months would be out of the question for Vincent and her crew. Her motor coach contacts stepped up to the plate arranging for Vincent and the Rage to lease a bus formerly used by pop star "CHER". Vincent stated, "We were able to easily transfer everything into our new temporary Bluegrass Express... except now every time we turn the radio on, the bus plays "I've Got You Babe!" Cher has left her mark on the new Bluegrass Express." Buy Rhonda Vincent CDs Here! .Misty Morgan has a photographic memory for music. I call it a "phonographic" memory. She can play any piece she hears once, even if it's just background Muzak in a store, but she does not read music. She has never sung a single note off key. Her first underage jobs were with pickup combos around Tonawanda, New York. They played standards, dance music, and a little country. As a piano single, she played and sang mostly standards, Broadway, and popular songs. we went to a club to hear an all female jazz quintet. Somebody asked her to sit in on piano, and she accepted. I was embarrassed. I said, "Honey, you don't play jazz!!!" She just said, "I can do it." As she went on-stage, I went to the rest room. I didn't want to see it. Then I heard this great jazz piano, a mix of Oscar Petersen, Erroll Garner, and Ramsey Lewis! I went out and looked and it was Misty! She brought down the house. I said, "Where the hell did you learn that?" She just calmly said, "I told you I could do it"
She can play all kinds of music, and she never plays anything the same twice. 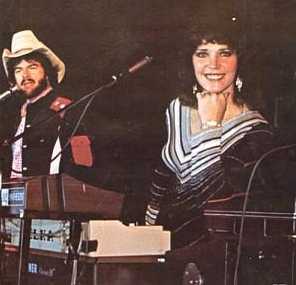 She is the first female entertainer I know of to play six stacked keyboards onstage. Sometimes the strings, guitars, fiddles, and other sounds on our records, are really Misty and her magic keyboards. She can blend them with Buddy Spicher, Johnny Gimbel, Vassar Clements, and other musicians, so that you can't tell. unless you were there. Her ear for sound is a valuable tool I use when mixing sessions. I can write the songs, and we work out the arrangements together, but she has the final word on the mixdowns. When I write a new song I sing it to her first. She never says it's bad. If she says, "That's really nice", I know it isn't. sometimes even tears. She's always right. My final editor. Everybody remarks about her unusual harmony when we sing duets. I have no idea what she's doing, and I don't want to know. It just works. On top of all this, she is the perfect straight man to my funny stuff. She folds her arms and gives me a look that says this: "Whenever you're through, dummy. We're trying to do a serious show here." The audiences love her, and so do I.
just before recording "Tennessee Birdwalk". We had no idea it would go to #1. 'Second Tuesday in December' takes the two lovers from the heat of passion in the heart of summer... to the cold reality of love's end in December. Both Jack and Misty voices really connect with the lyric... and bring the sadness of the song to life. The famous Jack and Misty harmonies are especially effective here... appearing almost as ghosts of the two lovers who's love has grown cold." he has toured the world with his groups SNOG and Black Lung. David has composed the music for three movies and is the executive producer, and driving force behind our upcoming Jack Blanchard and Misty Morgan anthology CD "Life and Death (and almost everything else)". The project concept is entirely his idea. There will be loads of pictures and history in the collection, and below are a few liner notes by David Thrussell. Im a relatively recent convert to the world of Jack and Misty. Just a few years back in a musty old record store somebody said, You really should check out Jack and Misty, theyre kinda like Nancy Sinatra and Lee Hazlewood on acid. Naturally, with a recommendation like that I moved quickly. Tennessee Bird Walk didnt disappoint, it was fun, a little warped, and also a little bit smart all at the same time. But it was when I flipped the 45 over that I really became hooked. The Clock of St. James was the sort of gem that makes a music lovers eyes glaze over. Imagine Long Black Veil with Rod Serling at the helm? Can it get any better? Well, in fact, it did. Over the next couple of years I developed an unhealthy passion for the great music of Jack Blanchard and Misty Morgan, wondering over the magical melodies of The Shadows of the Leaves and appreciating the downright thoughtfulness of songs like Second Tuesday in December. In a culture that celebrates trash and worships mediocrity, music and art of quality and integrity most often disappear in the turgid tide. The CD you hold in your hands is a small, first attempt to put things right. Im also very happy to report that though Jack and Misty have walked the Lonesome Valley of the Shoddy Record Conglomerate and battled the Plague of Music Industry Locusts still, after all these years, they retain their marvelous sense of humor and zest for life. Show Business tends to take and take from performers, often giving little of permanence in return. After more than forty years as music makers Jack and Misty are still going strong with a smile on their dial and have been nothing but a pleasure to deal with. Thank you, Jack Blanchard and Misty Morgan, for telling it how it really is. All the sorrow, and all the magic, and all the humor, and all the joy. Of course our singles will be released to worldwide radio every other month on Stardust Records. THE FREE USE OF COPYRIGHTED MATERIAL. A history group I subscribe to has been discussing whether or not its ethical to post old postcard pictures on the internet for those of us who are interested to see. Some are worried that they would by violating copyrights. This got me thinking about music. The great majority of copyrighted material lies dormant in drawers, files, etc., and is forgotten. Much of it is buried in the archives of inactive publishers. Often the artist's only hope for appreciation of his or her life's work is the sharing of it among people who have non-profit interests. There are occasions when a free sharing of a creative work actually helps the copyright holder's situation, by arousing interest. Many who taste the sample will buy the whole meal. When we had monster hits on the primary US radio stations our performance royalties (BMI) were big. Now they're not. One reason is that US stations no longer pick their own music. Programming comes from the corporate home office. So now our main exposure is overseas and the Internet, and BMI pays little or nothing from these sources. We send free music to stations worldwide, not expecting much from copyright royalties. We have a lot of our recordings on the Internet for people to hear without paying. We consider these to be samples. The free music we make available has increased our album sales. That's where our real return is. Also, it keeps our work alive. That's important to us as artists. Vista Print - Free Products! It's raining in Montana! Aren't miracles wonderful? I hope things are going well for you. We're actually going to have a little grass this year, so they're going great for us. Melissa Turner of Little Falls, New York was the winner of our drawing this month. We're sending out an autographed copy of Silver & Gold. That's our CD of all original gospel music. Congratulations, Melissa. Enjoy! The Montana Storytelling Roundup was a real hoot. I think it may have even been the best one yet. There were some great performers there, and the crowd was very appreciative. That sure makes an entertainer's job fun. (on the Frenchman River, where else?) That's always a great time. 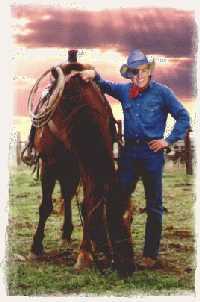 We continue to regularly pick up radio affiliates for our "Cowboy Show". It's now aired coast to coast about 55 times a week. Who said cowboys are out of style? If you've got a station in your area that needs some good cowboy programming, contact them and put a bug in their ear and then let us know, and we'll see what we can do. Thanks for keepin' it cowboy. and don't forget to check yer cinch. Bill Littleton has started a POLL on the COUNTRY MUSIC FORUM that is very interesting. He asks what 2 Country Acts you would put together for your Favorite Fantasy Dream Package. Go take a look at what Acts some people have already chose and POST your 2 Favorite Country Acts you would like to see together. This is a "Must See"! It takes a couple minutes to load, faster if your connection if faster, of course. It was passed on to me by my pal, Rhonda Milliam of Global Singers and Songwriters Association and I just wanted a chance to share it with everyone. See "From Sea to Shining Sea"
More news on Page 2! Copyright ©1996 - 2007 My Kind Of Country Produced and maintained by Marlene Slater, All rights reserved. This page and all contents therein are the sole property of Marlene Slater and may not be reproduced or copied in whole or in part without the express prior written consent of the owner. Copyright and trademarks contained in the links embedded on this page are the property of their respective owners. Help make your community CAF safe!